I'd like to just be able to open an app, snap a photo (or attach multiple photos) of a landscape, place to visit, restaurant, campsite, whatever - and see those items as pins on a map. Or at least arrange them by distance. For a while I've been using ScoutLog for this purpose. I may try the Journey app as well. Is there a way I could just do this with Evernote, though? 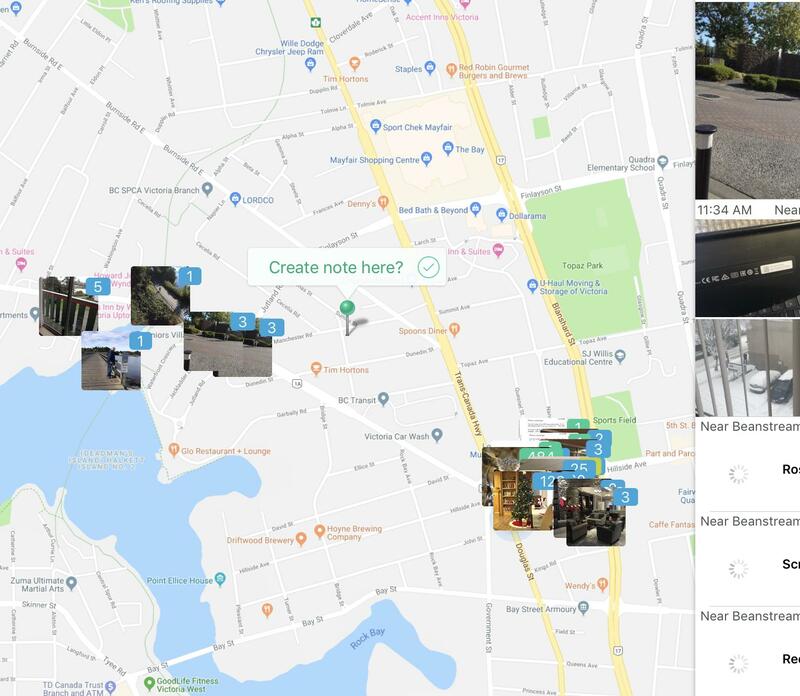 Using location data, IdeaPlaces transforms each note into a visual point on a map which are then automatically named with the help of Foursquare. In an instant, you have a new way to search and find notes. With a visual experience created around this new context, you can now explore your notes based on where and when they took place. Finding new use cases for Evernote, or even finding a first one, has never been easier. Attach a location-based reminder to your notes to help integrate Evernote into your daily life! IdeaPlaces provides one of the fastest and most robust ways to create a new note in Evernote. Whenever you take a note, from any screen in the app, the context of your current location is automatically added to the note. Along with the ability to create notebooks and tags during the note creation process, you can use your contact book to easily share notes by SMS or email.